“The respective electrical switch cabinets for the machines are delivered just-in-time from Monforts in Germany according to our production schedules,” says Gert. 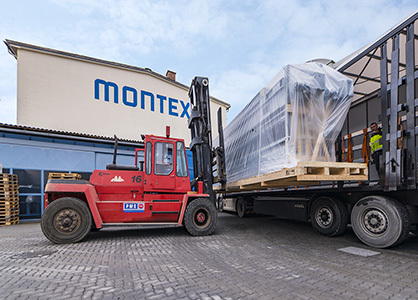 “The business is currently running very well and with ITMA 2019 approaching we are ready to meet a special challenge,” Gert says, emphasising that the loyalty and satisfaction of the Montex workforce is of paramount importance. 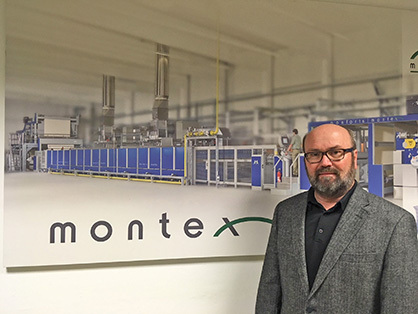 “We have employees who have worked at this site since the foundation of Montex Austria, but it’s very important that we train apprentices at the same time, in order to pass on our know-how and ensure the high standard that customers expect from Monforts systems is maintained going forward,” he says. “One of the key advantages of being here in the heart of Europe is the Trial Training System – one of the best training systems in the world. It combines theoretical instruction in a vocational school with practical training both within the company and in training workshops.